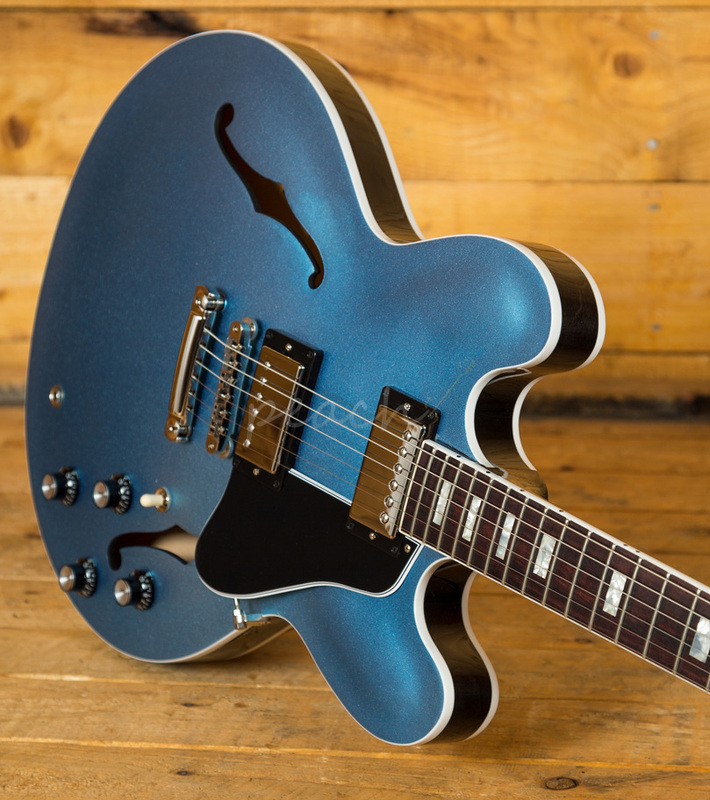 There are certain guitars that stand the test of time and with its timeless design, effortless playability and rich history, it's easy to see why the Gibson ES-335 remains such an iconic guitar. 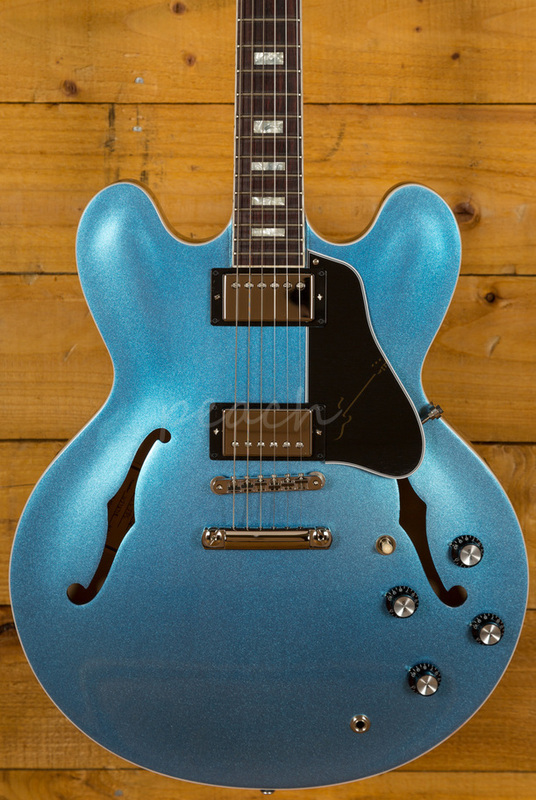 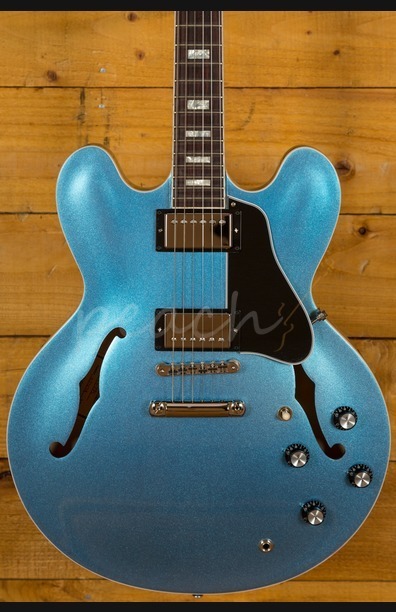 The Gibson Memphis ES-335 Ice Blue Metallic is a visually and tonally stunning guitar. 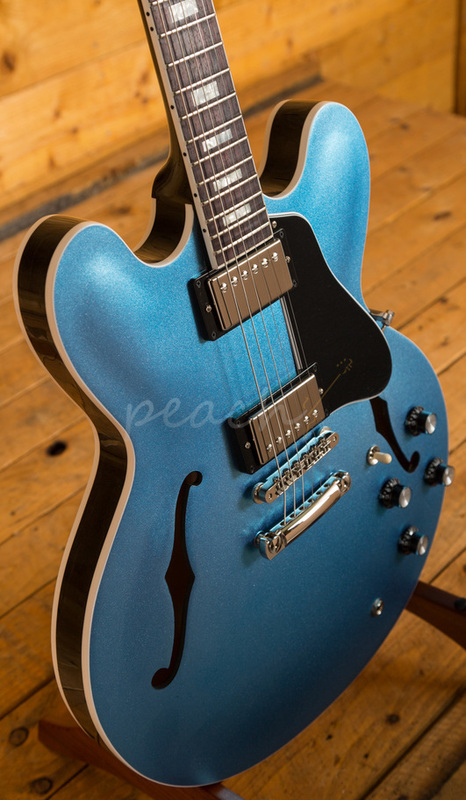 Featuring a 3-ply Maple/Poplar/Maple body, it's finished in a slick, old school vibe Ice Blue Metallic; its a bold colour that perfectly complements this stunning guitar. 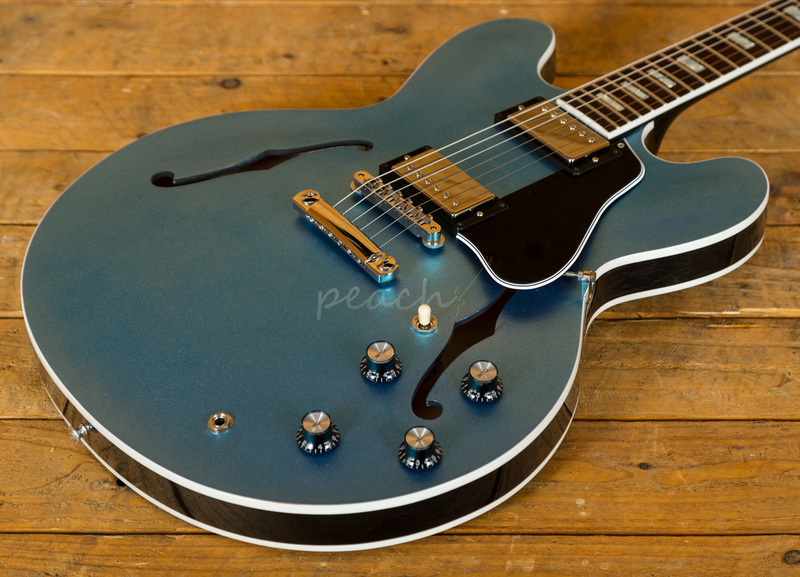 Delivering a rich and authentic tone, the ES-335 is super resonant and beautifully balanced; it just oozes that vintage Gibson appeal. 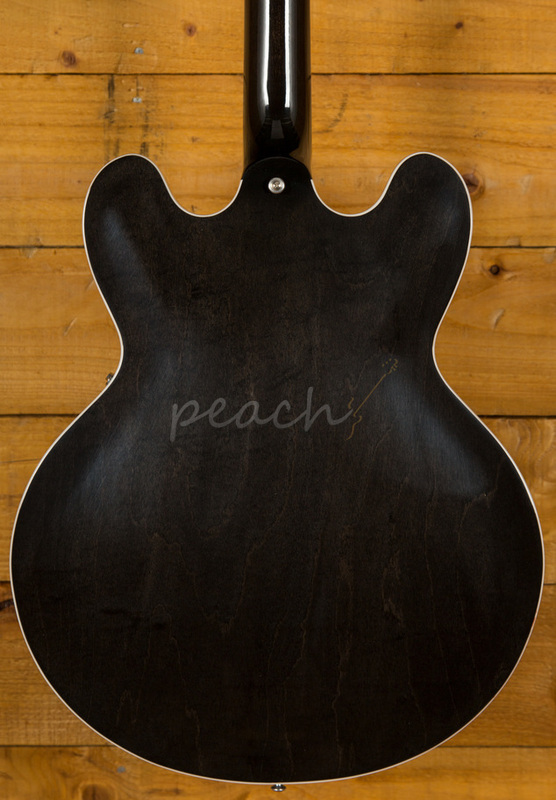 The neck is something special, crafted from Quartersawn Mahogany; it features a gorgeous bound dark Rosewood fingerboard, embellished with pearloid block inlays. 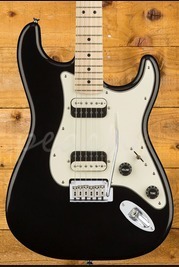 With 22 frets and a 24.75" scale length it feels smooth and comfortable, equally at home playing slick lead work or heavy chord strumming. 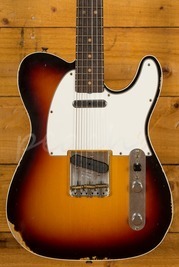 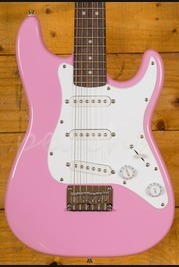 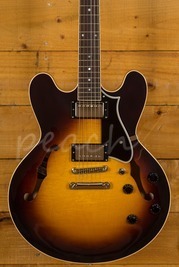 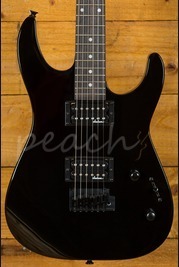 Complete with Gibson hardcase, its a great take on a classic design.